By Melissa Lennig on February 7, 2015 18 Comments. This content contains affiliate links. As an Amazon Associate I earn from qualifying purchases. In my last post, I shared how I get a kick out of introducing my boys to things I enjoyed as a kid. This is another one of those activities! I have bright, happy memories of elementary school crafts, particularly this style of tissue paper art. Shared below is a free printable for creating Scrunchy Shamrock Art. It’s fun for school or home, develops fine-motor skills, and looks awfully cute on the refrigerator! 1. 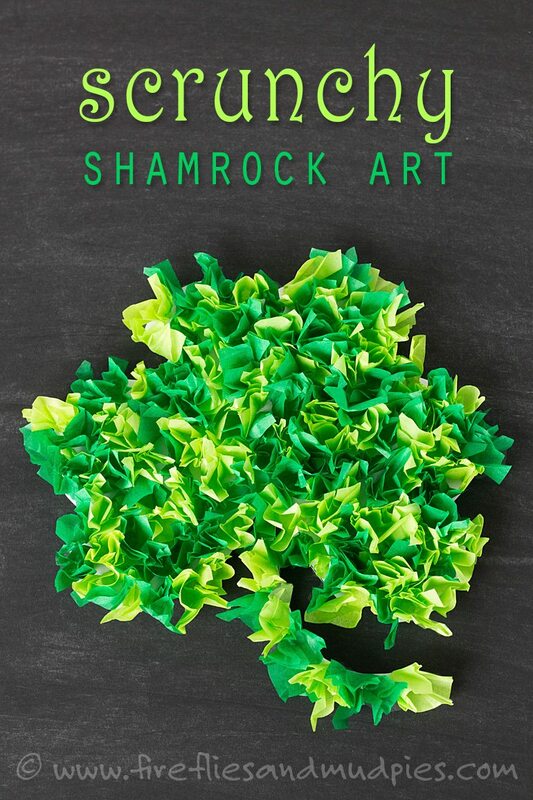 Click HERE to download and print the free Scrunchy Shamrock Art printable. 2. 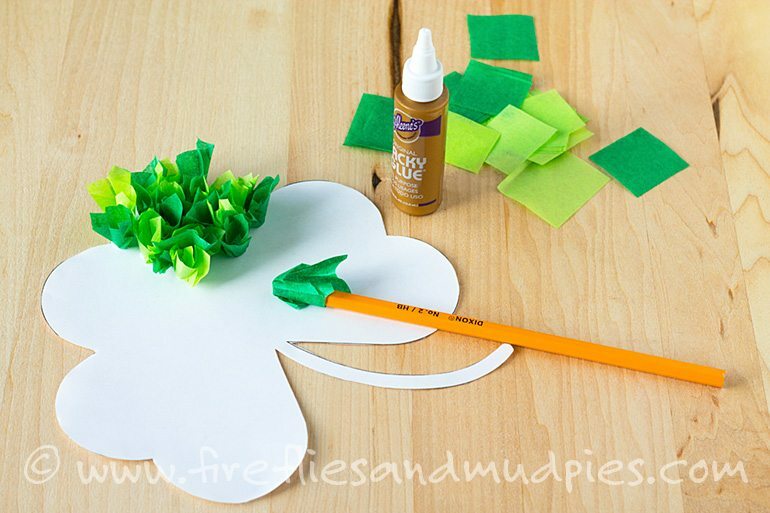 Invite your child to cut out the shamrock. 3. Scrunch a small square of tissue paper around the eraser end of a pencil. 4. Holding the pencil around the tissue paper, dip the tissue paper covered end into glue. 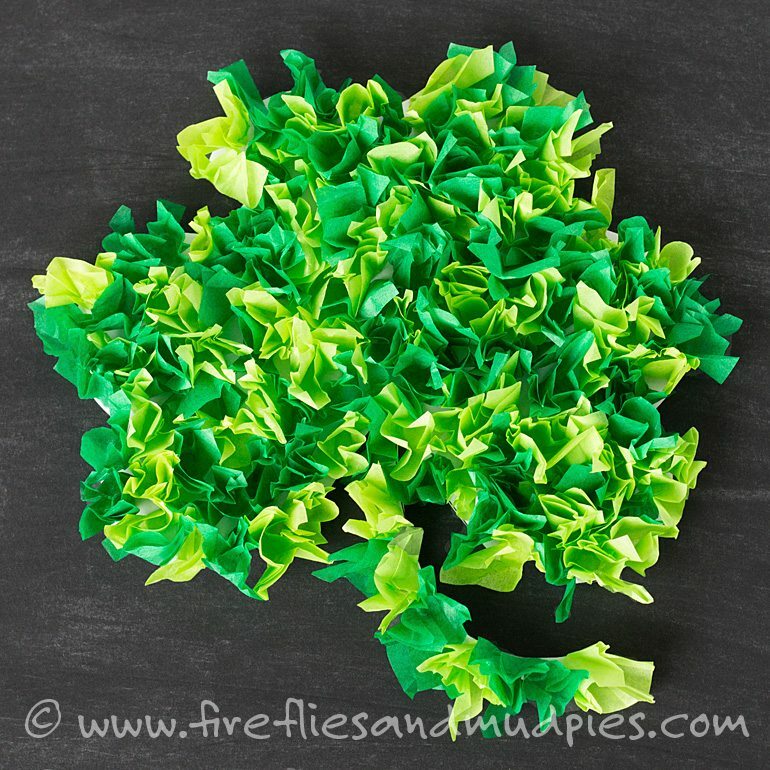 Press the tissue paper onto the shamrock and release. 5. Repeat directions 3 and 4 until the shamrock is completely covered with tissue paper. My oldest son preferred to squeeze a small drop of glue onto his paper, then press the tissue paper onto it (as opposed to dipping it). I adore mini bottles of tacky craft glue for kid’s crafts—they are the perfect size for small hands and easy to refill. 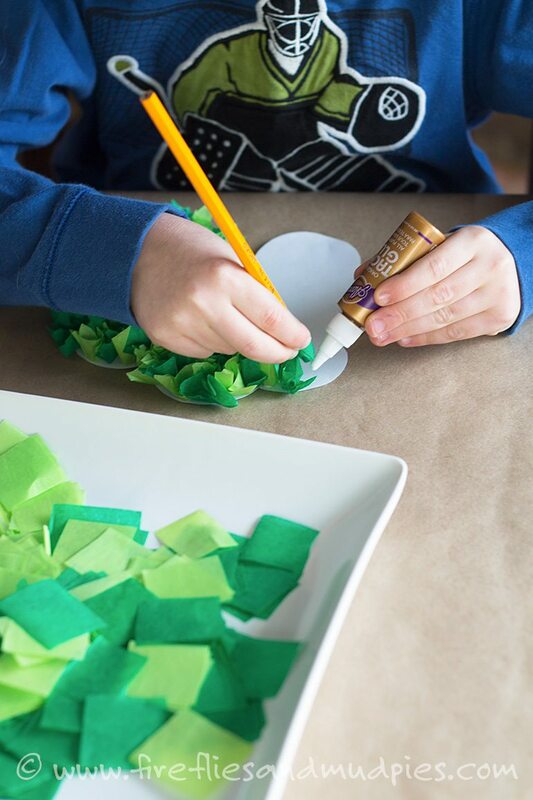 For more St. Patrick’s Day crafts and activities, follow along on Pinterest! Follow Fireflies and Mud Pies’s board St. Patrick’s Day on Pinterest.